Dr. Pasik-Duncan is actively involved with IEEE CSS and currently serves as Deputy Chair of the IEEE CSS Technical Committee on Control Education. Furthemore, Dr. Pasik-Duncan currently serves on the Board of Goveners for the IEEE SSIT	and is a voting member of the IEEE Women In Engineering Committee. Dr. Pasik-Duncan was the 2017-2018 Chair of IEEE Women in Engineering (WIE) She has been the CSS Vice-President of Member Activities, the IEEE CSS Liaison to IEEE WIE, an Associate Editor and Associate Editor at Large of the IEEE Transactions on Automatic Control, Chair of the Standing Committees on Assistance of Engineers at Risk and International Affairs, and Founder and First Chair of the WiC Group. 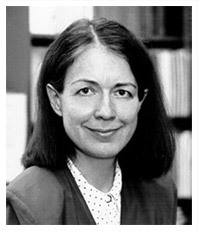 Dr. Pasik-Duncan is also associated with the IFAC as a past Chair of the IFAC Technical Committee on Control Education and currently serves on the IFAC Harold Chestnut Control Engineering Textbook Prize Selection Committee and on the IFAC Technical Board as the Education Liaison to all IFAC Technical Committees. She is the past Program Director of the SIAM Activity Group on Control and Systems Theory and was formerly involved with SIAM in several other capacities. Dr. Pasik-Duncan is an IFAC Fellow, an IEEE Fellow, Distinguished Member of the CSS, and a recipient of the IEEE Third Millennium Medal. She has received many awards, including the Kemper Award, H.O.P.E Award, L. Hay Award, Steeples Service to Kansas Award, KU Chancellors Club Teaching Professorship and is a member of the KU Women's Hall of Fame. She served on the Friends of the Lied Center Board and currently serves on the SMA Academic Program Advisory Board. She is Founder and Faculty Advisor to the AWM Student Chapter at KU, Founder and Coordinator of the MAM / Outreach Program, and faculty advisor for the NSF GK-12 Program at KU.